From ‘Laisuotuo,’ directed by Carl Houston Mc Millan. When independent filmmaker Carl Houston Mc Millan was growing up in the tiny southern African country of Lesotho, he saw firsthand the effects of China’s surging engagement in Africa. Even in this remote country, embedded within South Africa, far away from the major hubs of Chinese immigration in Johannesburg and Nairobi, he could feel his community was undergoing a profound change. Unlike larger countries where the Chinese are building massive infrastructure projects and attracting thousands of Chinese workers and expatriates, in Lesotho the Chinese are largely economic migrants in search of a foothold to open a small business where many work tirelessly to earn enough extra money to send back to their families in China. These migrants are often poor, uneducated, and unfamiliar with the local language, Sesotho. These new foreigners, Carl explains, have not been warmly welcome in Lesotho, where they encountered widespread prejudice. Sure, the new “China shops” offer lower prices and are conveniently open seven days a week, but they also put enormous strain on local competitors who are often unaccustomed to facing this new competitive pressure. Then there are the constant language and cultural barriers that have sparked countless micro-tensions between the Chinese and locals. While this phenomenon of new immigrants struggling to adapt to their adopted country is typical in every country, it was very new and unfamiliar in Lesotho. Within this struggle for acceptance and assimilation between Chinese and Lesotho, Carl saw the opportunity to tell a bigger story about the human dimension of the China-Africa relationship that is largely overlooked in the mainstream press and academic scholarship. 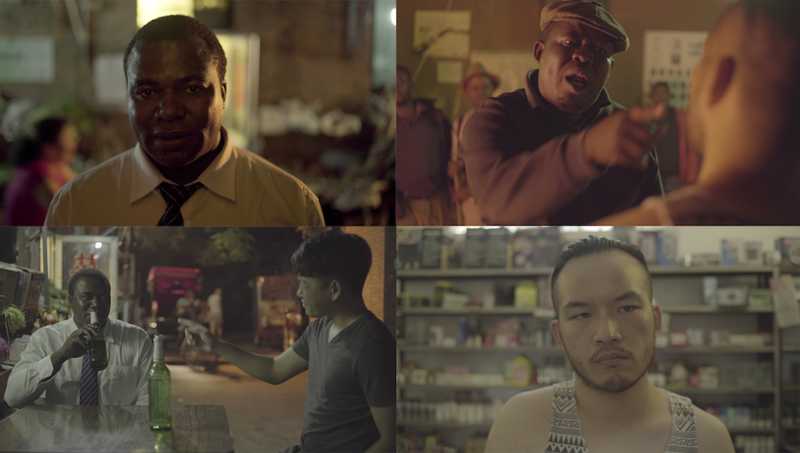 His new short-film, “Laisuotuo” (the romanization of the word Lesotho in Chinese) tells the story of two migrants, an African doctor living in China and a Chinese shop owner in Lesotho, who both struggle to overcome painful stereotypes and racial profiling. The film was shot on location in both China and Lesotho on a miniscule, self-funded budget by Carl and his friends. This beautifully shot short film features a cast of amateur actors who shared Carl’s passion to tell a different, more human side of the China-Africa story. Carl joins Eric and Cobus to discuss the challenges he had to overcome to make this film—embedded below—and what he hopes the audience will take away from the film’s core message.